On a cloudy Thursday this past week our son was blessed to be standing on “America’s front porch” at the nation’s Capitol, facing the Washington Monument, looking over the Mall and the reflecting pool, shaking hands and talking economics and city layout with Speaker of the House Paul Ryan. Mr. Ryan’s sharp intellect was immediately apparent, as was his down-to-earth sincerity and interest in people. Ours was not a political visit, but a meeting to celebrate Daniel receiving the bipartisan Congressional Award Gold Medal, the highest youth award bestowed by our government. Danny had logged nearly 700 hours of community service, over 500 hours of personal development, 250 hours of physical fitness, and participated in or led eight expeditions, to earn the award. He had previously received the Bronze and Silver medals; the Gold are awarded in a full day of ceremonies in DC. The immigrant comes home. 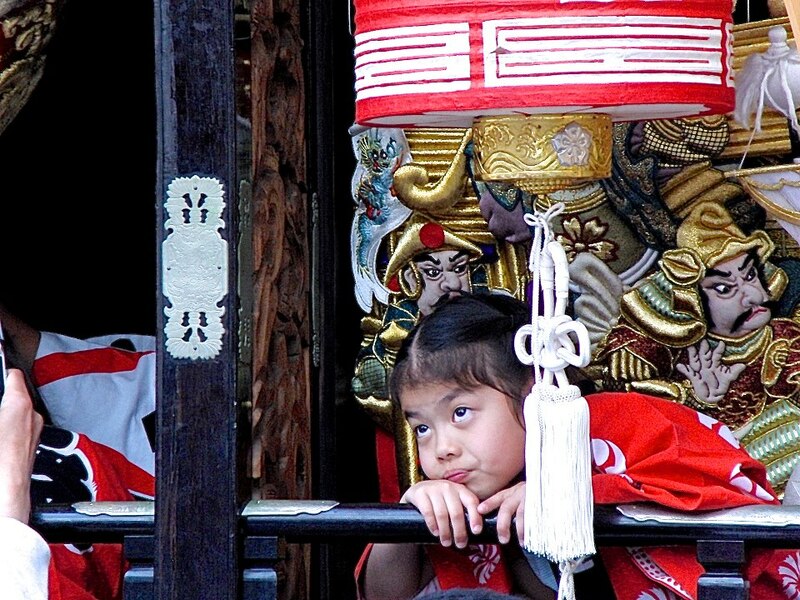 My young TCK: Third Culture Kid, our global nomad. We moved our little white boy to Mexico after he graduated from primary school, so that he would know what it feels like to be an immigrant, a minority. It was important to us as parents that he gain a second language and culture, a way of looking at the world that saw beyond state lines. It has not been an easy journey; being an immigrant and a minority rarely is. It’s hard to have your voice not heard; it’s discouraging to be seen as weird, to be misunderstood. It’s frustrating to be labeled, to be grouped, rather than to be seen as an individual. Yet such experiences can cultivate an empathy and recognition of perspective that staying home rarely can. All life paths have their advantages; this was ours. Click on any photo to enlarge it or view a slideshow. The Speaker had just finished a meeting with House Majority Leader Kevin McCarthy when he met with us, and left us to record an interview with 60 Minutes. How cool is that? We were privileged to visit his private office—with that view I’m not sure I could get any work done at all, and the office’s gorgeous private conference room with its hand painted gold filigree ceiling and paintings of national parks and Wisconsin territorial maps, on loan from the National Gallery. Sadly in such private spaces we weren’t allowed to take photos, but I assure you that amidst the history, the ornately carved furniture, antique tiled floors, wood paneling and plush carpets, there was plenty of Packer and cheesehead memorabilia. My personal fave was the wooden mallard decoy painted in Packer green and yellow signed by Brett Favre. Wisconsin has made its presence known on the Hill! First thing that morning before we met the Speaker, we were honored to spend an hour or so with Senator Tammy Baldwin, also from Wisconsin. Her office also proudly repped this fair state: baskets full of dried cranberries, beef jerky, Cheetos, potato chips, kringle next to the coffee pot… Some day I’m going back to the House and Senate offices on a snack food tour! Guess I’d better lose some weight first. Senator Baldwin had had a late night, because she had actively participated in the 18-hour filibuster on the Senate floor to help ensure that those on the terrorist watch list are banned from buying guns. I am proud to be a cheese head represented by this obviously committed, talented and passionate public servant, who has done so much to help our country realize its dream of inclusivity, first in the House and now in the Senate. She kindly accepted a copy of Cultural Detective LGBT, and assured me she’d give it a read and some feedback. After these two very fortunate meetings, in the Senate and the Capitol, we went over to the House, to the Cannon Caucus Room, for an afternoon awards ceremony. We were so grateful to our friend Ross, who joined us at the ceremony, and hosted us with his wife, Meredith, at their home this weekend, too. It makes all the difference to have a cheering section, right? This was yet another gorgeous room, with ornately decorated walls and ceilings. The master of ceremonies was a reporter from ABC, and we heard from the President of the Congressional Award Foundation, Paxton Baker, one of the owners of the Washington Nationals. The foundation is privately funded. Although it’s a governmental award, issued according to a law passed in 1979, we were told that no government money goes to support this youth award. We met other people from Waterford, WI! As both the House and the Senate were in session, members of Congress had to come and go to present the awards to their constituents. It was quite a delight to feel the energy of being part of the important voting going on this week on the Hill. This year 325 young Americans received the Gold Medal—the most ever. I was so happy to witness the diversity of the recipients. The sociologist in me wants to calculate the ethnic/racial demographics of the recipients, but I’d have only their names to go on—not exactly accurate or helpful data. Judging by the skin colors on stage, and the MC’s difficulty pronouncing the names, our diversity is definitely a strength for our future! Fortunately at this point we got a bit of a break, and were able to head over to the National Arboretum to put our feet up in the shade and listen to some music. We had a major recognition dinner ahead of us in the Reagan Building and International Trade Center, yet another very impressive piece of architecture, this one modern. Over 1000 people attended the banquet so, honestly, we expected rubber chicken. We also feared there would be no alcohol, it being a youth recognition event. We were gratefully wrong on both counts. The meal was unbelievably good! I guess in DC the chefs know how to feed large crowds and still impress! We were received with passed appetizers and an open bar. We began dinner with a delicious baby spinach salad, followed by perfectly cooked short ribs and prawns over mashed potatoes with green beans, and finished with fresh raspberry topped chocolate torte. All this accompanied by free flowing red and white wine and beer. We sat with the families of two other awardees, one from California and one from Ohio; it made for great dinner conversation. On the program for the evening were Cal Ripken, Jr., Wonder Woman herself, Linda Carter, and the hit of the evening, América Ferrera. Here enters our embarrassing moment. They introduce our beloved América, and the three of us stand, giving her a standing ovation. However, no one else does. There are over a thousand other people in that room, and no one stands? Do they not know how awesome this woman is? What a terrific activist she is, for very important causes? Are we this out of sync, living in Mexico? We stayed standing and clapping, feeling the eyes piercing our backs and sides. Today, the day Danny receives the Gold Medal, is the day eight years ago we became immigrants. This is an important day for us, in more ways than one. América gave an incredible speech. I pray the Congressional Award people will make a recording available. It was so moving that a few minutes later, nearly everyone in that ballroom stood to give her a standing ovation. There was hooting, hollering and whistling. Who’s vindicated now, huh? I really, really wanted a photo with her, but the handlers hustled all the VIPs away immediately after the ceremony. Bless you for being you, América! Man oh man oh man! We all went to bed that night feeling like we’d each just had the best day of our lives. What an incredible, unbelievable day. Yes, that’s repetitive, but it was a superlative kind of day. And then we woke up on Friday to go back up to the Speaker’s office for a private tour of the Capitol! The two-hour tour for just the three of us took us into the ceremonial office, where there’s an original Senate desk, where the President waits before he gives the State of the Union, and where heads of State wait before they address Congress. We were told that about 15,000 people tour the Capitol on an average June day, and maybe 5 enter that room. We were three of them. 😉 I’ll take that luck. Again, no photos. We got to walk on the floor of the House, sit in the chairs, push the vote buttons, and even stand at the speaker’s podium. “My fellow Americans,” I proclaimed. OMG, it was so very awesome! Again, no photos. But we have memories!! We toured all the rooms, the rotunda is still being restored, and thanks to Greg’s curiosity we even got a tour of some of the over 30 miles of tunnels connecting the buildings, many of which date back to the Revolutionary period. Trivia? Did you know the Capitol still has furniture makers on staff? Today is Saturday. We’re sleeping in. Recovering from the hyper-energy of this fairy tale. We had originally hoped to meet with President Obama during our trip. He, of course, was in Orlando on Thursday, honoring the victims and consoling those affected by the horrific mass shooting. Danny, thank you for working so hard so that your Mom and Dad could enjoy such an incredible experience on your coattails. I know that’s not why you did it, but it was a nice side benefit. It sure was fun. We are very proud of your discipline, perseverance, and hard work. Keep it up, remember who you are, values and ethics first. Be proud of you, in all your uniqueness and weirdness, for there is no one else on this earth with your set of talents and perspective—take them confidently and joyfully into the world. Speaker Ryan and office staff, Senator Baldwin and staff, thank you for hosting us; we are so grateful for the opportunity. Congressional Award Board and staff, thank you. I cannot imagine the hours of work that go into managing a program of this magnitude, and pulling off an event of this size and caliber. Job extremely well done! It was amazing! Family and friends, this award is for YOU, too. You helped raise and form Daniel. As the Africans say, “It takes a village,” and Danny is blessed to have grown up with you, in an incredibly love- and talent-filled global village. I have tears in my eyes thinking of the myriad ways you have either gone out of your way to help him, or unknowingly influenced him through your day-to-day modeling of how to be in this world. There are way too many people to mention, but directly leading to this Congressional Award I would like to mention a few. 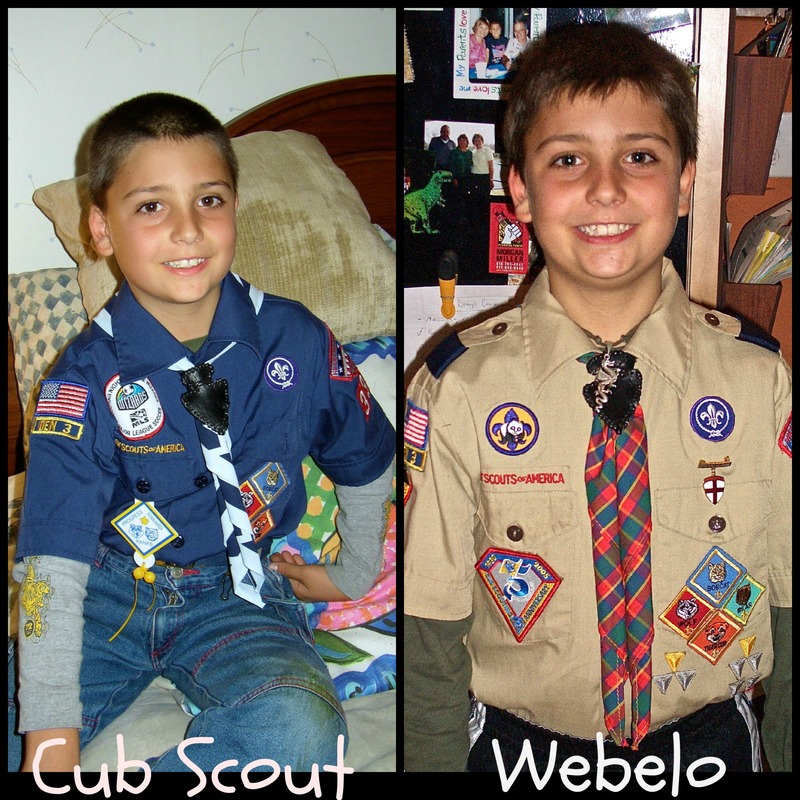 Glen Jonson and Gary Kaufman of Troop 381 in Leawood, KS, who helped guide Danny through his first years of Scouting. You guys taught Danny the value of hard work and honesty, of not just signing off on something when you haven’t earned it. Thank you. Patricia Tirado, who tutored Danny in Spanish and his academic subjects when we first arrived in Mexico. He, and we, couldn’t have done it without you or Gemma Tornero, who tutored him before we arrived! Brian Samore, a close family friend and high school principal, who acted as Danny’s official advisor, helping guide and motivate Danny throughout the path to gold. Jefe Carlos, Jefa Jessica, Jefa Graciela, all the wonderful leaders and fellow Scouts of Grupo 4 Conforti in Mazatlán. 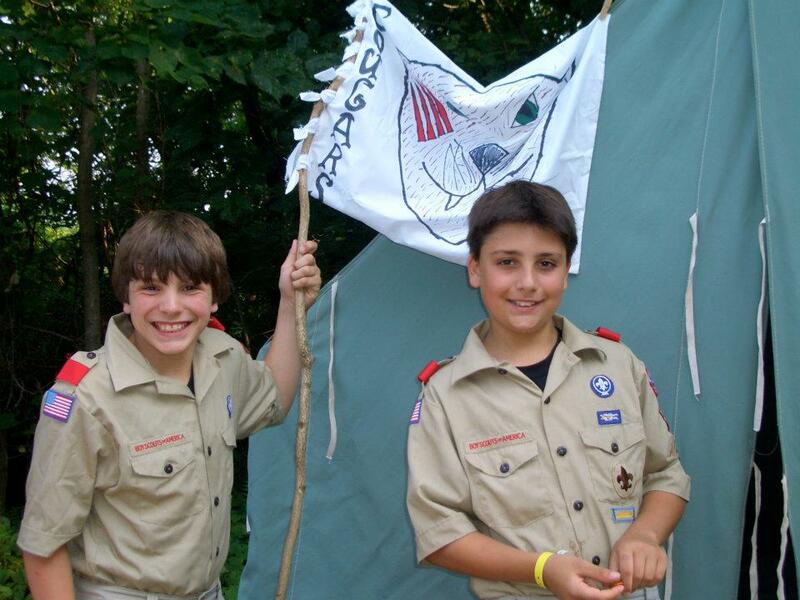 You helped Danny rekindle his love of Scouting, and to cultivate that love of the outdoors and camping. Bless you for your friendship! Terry Meyers of the Lone Scouting organization, and all of those who helped Danny on the road to Eagle. 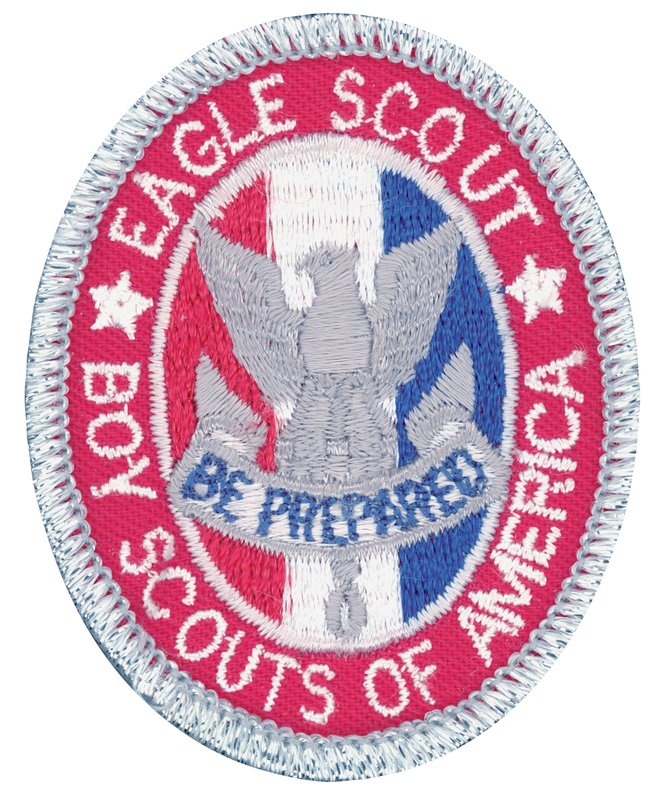 Eagle is a significant achievement with a troop, but as a Lone Scout, in a land where no one understands what you’re trying to do, it was unbelievably challenging. There were so many times we all wanted to give up. Luis Ramirez, thank you for celebrating that milestone as US consular officer, to help show our local friends that it was, indeed, something to commemorate. People to People International, thank you for the double scholarships to the Global Youth Forum, without which there is no way Danny could have attended from overseas. You provided him invaluable experiences and friendships. Teachers, students and staff of Instituto Cultural del Occidente. Thank you so much for the guidance, the friendship, and the going above and beyond to help with college applications and recommendations in a foreign system. We so appreciate your loving on our son. The Congressional Award staff. You rejected his Gold Expedition application not just once, but twice. You most definitely helped Danny learn perseverance and hard work. The first time, he led a Scout expedition across Mexico, renting a bus, planning the itinerary, coordinating young to old. The staff ruled that it didn’t show enough independent leadership, and yet, he led the whole trip. 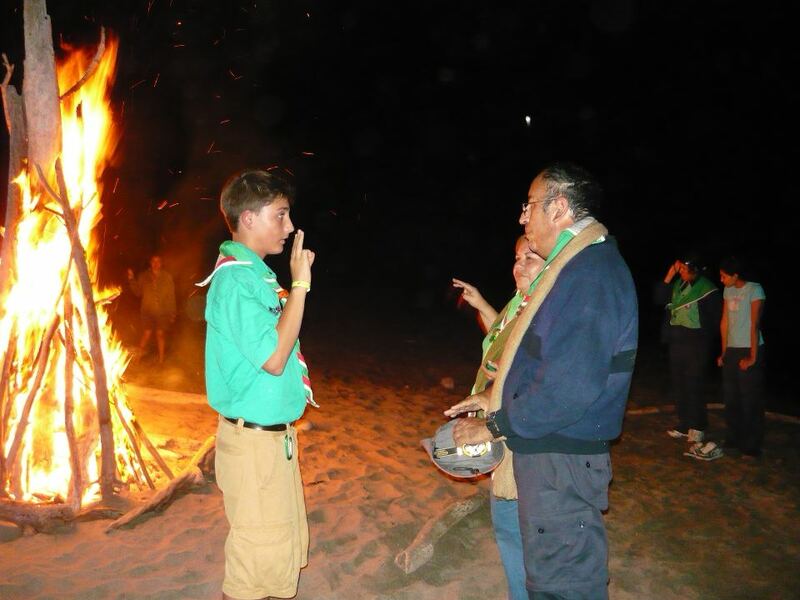 It’s a cultural difference between US and Mexican scouting, we get it. In the end, Daniel sold his car and took a much-anticipated solo trip to Argentina, living on US$700 for three weeks. Don’t ask me how, but he came home with money in his pocket. That application proved the ticket. Thank you for your guidance on the record keeping, and your help with the Congressional office visits. You are doing much good with our young people. Speaker Ryan’s staff, for making the meeting happen, for all the behind-the-scenes stories and trivia, and for that most excellent tour! You rock and it is so appreciated! Also thank you to Senator Baldwin’s office! All of you who love him, and us—family, friends, colleagues. You bring joy and meaning to our lives. God bless you and keep you, most sincerely, from the bottom of my heart. As I read yesterday in the bagel shop recommended by Maureen, from Speaker Ryan’s office, “May the saddest day of your future be no worse than the happiest day of your past” (Irish blessing). Addendum on Sunday, June 26: The awardees are entered into the Congressional Record! So cool. Danny’s name is on the bottom of the first page—and, amazingly, it is spelled correctly! 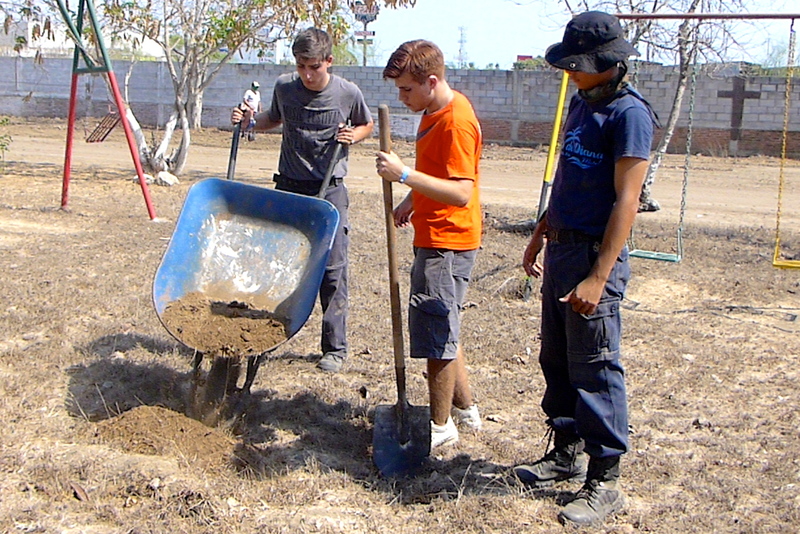 June 16, 2008: Seven years ago today we moved full-time into our home in Mazatlán. We’d already owned the condo for a few years—chosen for its strategic location on the malecón, in the middle of the action and close to everything in the city we’ve loved since the 1970s. 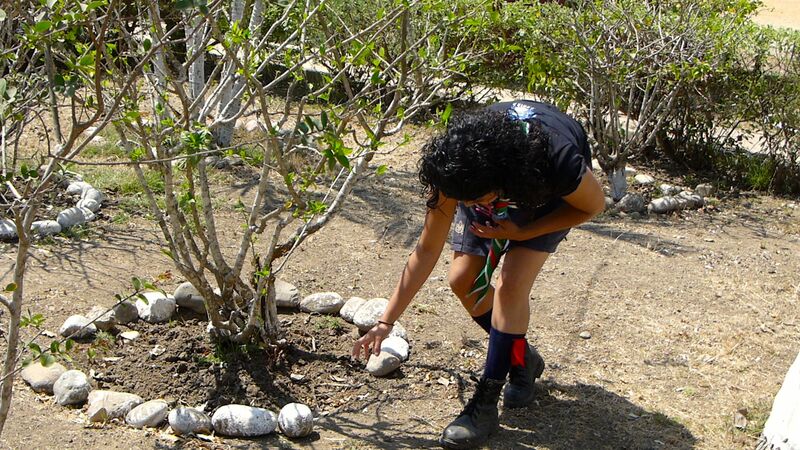 Before we moved to Mazatlán, I often took our son with me when I travelled for work. He joined me on trips throughout the USA, Canada and Mexico; to Amsterdam, Berlin, and Prague; and to Bulgaria and Japan, among others. I very much treasured these times together. Moving here, however, surprisingly and sadly brought an end to our very treasured, shared international travels. The first couple of years, Danny was too busy learning the language and acculturating to life here; we couldn’t take him out of school. His summer breaks were only a few short weeks—time we felt was time best spent reconnecting with family in the USA. During high school, he also had very short breaks, and the curriculum was difficult enough that he just couldn’t miss school. As with any major life choice, there are pros and cons. Moving to Mazatlán has opened new worlds for us, fresh opportunities, friends and perspectives. On the downside, it has seriously curtailed our joint travel time. Suddenly, Danny was ready to leave for college, and I realized that the three of us, as a family, had never travelled outside North America! How could that be? A high school graduation trip didn’t pan out due to the tight turnaround between Mexican high school graduation and the start of new student orientation at the US college. A trip this year, however, spontaneously presented itself. I was traveling to Spain for work, and Danny would be coming home from school just two days prior to me leaving. Having not seen him since January, this really upset me! I didn’t want to leave knowing he would be here! But Greg came up with the solution. They would fly to Madrid to meet me after my work was completed. Together, we would travel for three weeks, after which Danny could begin his summer internship here in town. I am so very grateful to have had this time and this adventure together. The three of us enjoyed three glorious weeks of 24/7 family time, of watching each other’s eyes light up at new experiences, or at recollections of prior ones. We ate so many new foods (including camel) and drank so many new drinks, we met some extremely cool and talented people, and we walked more than we’ve ever walked! I feel the trip brought us closer together and allowed us to transition out of treating Danny like a child and into a more adult family relationship. Thank goodness! Things could have, of course, gone terribly wrong when people are together 24/7 for three weeks. The other very cool thing? You! Our family, friends, and social media community! So many of you accompanied us on the journey, telling us you were joining us vicariously via our photos, giving us recommendations on places to go and things to do, sharing in our excitement. Thank you, most sincerely! That sort of support and virtual camaraderie is unlike anything I’ve ever experienced before, and was really a thrill. Our first stop together was Spain. It was the first time there for both Danny and Greg, and they loved it: the ease of communication, the incredible architecture and art, the fun-loving people, the green spaces, and the tapas, beer and cava. I had lived and studied years ago in Salamanca. Madrid and Barcelona were both huge hits with our family, and my boys now join me in my love of Gaudí. You can view the slideshow below if you’d like to see a bit of the Spain portion of our trip. Next we travelled to Morocco, where we enjoyed the warmth of the people, the depth of the culture, the artistry of the craftsmen, the gorgeous architecture, natural scenery, and the general foreignness of the milieu. We spent almost a week in Marrakech, and also a couple of days in the High Atlas Mountains with the Berber people. We rode camels in the desert, ate camel burgers, drank lots of fresh mint tea, and enjoyed ourselves heartily. There were so many commonalties between Morocco and Mexico, as well as, of course, so many differences. 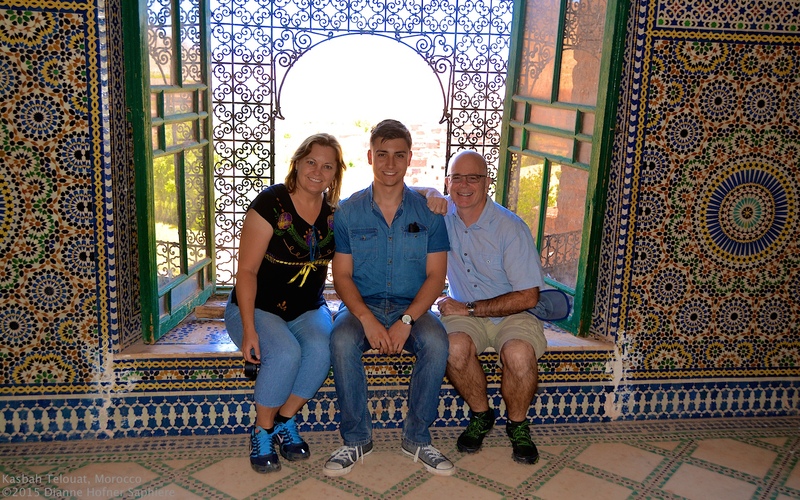 Below is a slideshow with some of our photos from Morocco, if you’d like to take a look. Finally, we travelled to Italy. And, while we all loved Rome—the Coliseum, the Pantheon, the rivers and bridges and seven hills with their incredible views, the Vatican—none of us enjoyed the crowds and the constant need for planning and coordination that navigating throngs of tourists entails. A slideshow with select photos from the Italy portion of our journey follows. Along the way we stayed in AirBnB apartments. I imagine most of you travel this way as well? If not, be sure to check it out. We stayed in some lovely, large, and extremely well-located apartments. The space was so much better than a hotel room would have been for a family, and much more affordable as well. And, usually we were able to be based right in the middle of where we wanted to be, so that coffee shops, restaurants, bars and sightseeing were just a few minutes’ walk from home. So, readers, not much to do with Mazatlán in my post today. Rather, a realization that our trip was sort of a seven year anniversary gift, which provided us a renewed commitment to an intercultural life as global nomads and world citizens. I am most grateful to have a family that enjoys sharing these commitments with me, as well a community of family, friends, colleagues and readers who are like-passioned. Thank you so much for your willingness to join us!